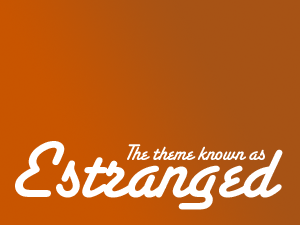 Estranged is the latest classic Performancing theme for WordPress that reflects a no-nonsense, straightforward look. The theme was developed in collaboration with designer Thord Daniel Hedengren of BloggerTalks fame. Thord has worked on developing and/or overhauling several other Splashpress Media blogs and services, such as the Eatonweb Blog Directory, Jack of All Blogs, Blog Network Watch, Blogger Jobs, and well as Audival, and did some improvements to the Blog Herald look. Update: Estranged has been updated for compatibility with WordPress 2.7 and up. Download the latest version here.